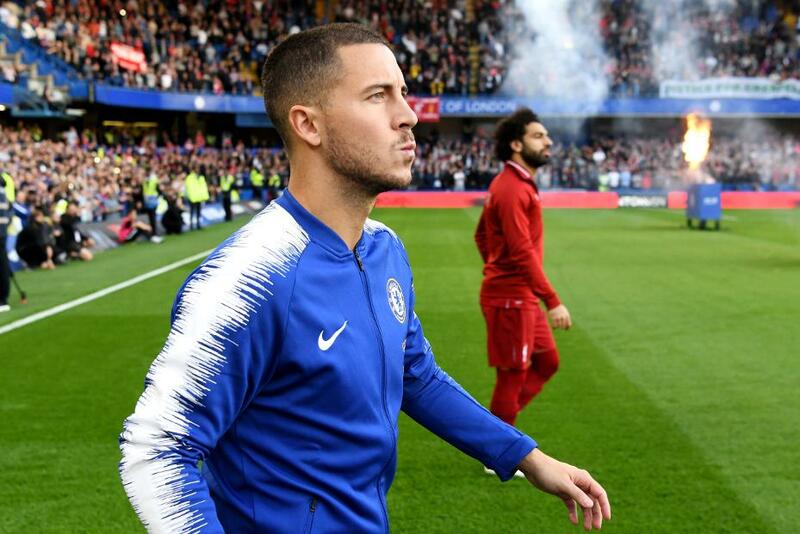 Backed by home matches with strong potential, Mohamed Salah (£13.0m) and Eden Hazard (£11.3m) are set to be the favourites for captaincy in Gameweek 12 of Fantasy Premier League. Salah’s opponents Fulham travel to Anfield with an unwanted defensive record. The 29 goals Fulham have conceded are the most in the league and they have yet to keep a clean sheet. Favouring Salah as captain is also the fact that he has been far more prolific at home, scoring in four of his five appearances in 2018/19. And the Liverpool midfielder delivered a season-high haul of 15 points in his previous Anfield fixture, a 4-1 win over Cardiff City in Gameweek 10. But Hazard’s case is backed by the fact that his opponents, Everton, have been unconvincing in defence on their travels. The Toffees are without an away clean sheet, conceding two goals in four of their five matches. That could benefit Hazard, who has three double-digit hauls in his six home appearances for Chelsea. Yet for overall points averages at home, the pair are almost identical. Salah has produced 8.4 points per match (ppm), while Hazard has 8.3ppm. Sadio Mane (£9.8m) and Marcos Alonso (£7.0m) are alternative captains. Mane equalled Salah’s 15-point haul against Cardiff and he delivered 16 points at Anfield in Gameweek 1 against West Ham United. Alonso is just one point behind Hazard at the top of the FPL player standings on 78 points. The left-back is less explosive but is consistent, producing at least six points in eight of his 11 Gameweek appearances. Holly Shand (@FFCommunity): It’s all about Liverpool this weekend, with a favourable home match against a leaky Fulham side. Salah and Mane are both strong options, with many managers owning at least one. Hazard would be the alternative if you’re brave enough to be without Liverpool's premium attackers in Gameweek 12. Neal Thurman (@nealjthurman): If you're looking outside the obvious candidates, Jamie Vardy's (£9.0m) season could get back on track at home to Burnley. WGTA (@WGTA_FPL): Salah and Mane owners will be hoping for double-figure returns from their men, although a fit-again Hazard is perhaps third choice. Don't forget he scored twice at home to Everton in 2016/17. Ash (@FPLHints): Without a doubt Salah is the standout captain pick, despite failing to score in his last two matches in all competitions. Mane may also want to join the FPL points party, as we saw against Cardiff. He could be a good differential captain. Sam, FPL Family (@FPLFamily): It is very hard to overlook Salah and the Liverpool options, and my armband is on the Egyptian this weekend. However, there are a few options this week. The West Ham pair of Felipe Anderson (£6.8m) and Marko Arnautovic (£7.1m), along with James Maddison (£6.9m) and Vardy for Leicester City, have tempting fixtures. Chuck Booth (@ChuckBoothSport): To Salah or not to Salah, that is the question. For me, Salah could even be a viable pick for the Triple Captain chip. Harry Kane (£12.4m) and Alexandre Lacazette (£9.7m) provide other in-form armband options.